Austral Fisheries wanted to promote their new range of Wild Fraser River Salmon in an original way. 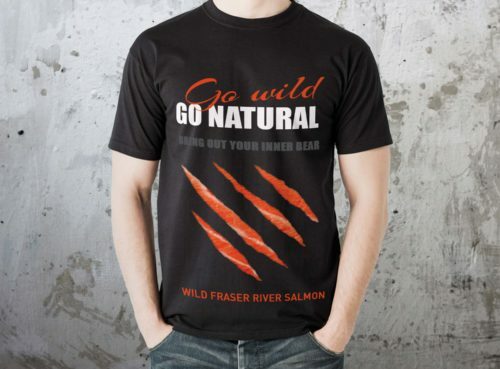 Indepth worked with Austral to come up with the tagline “Go wild, go natural – bring out your inner bear”. 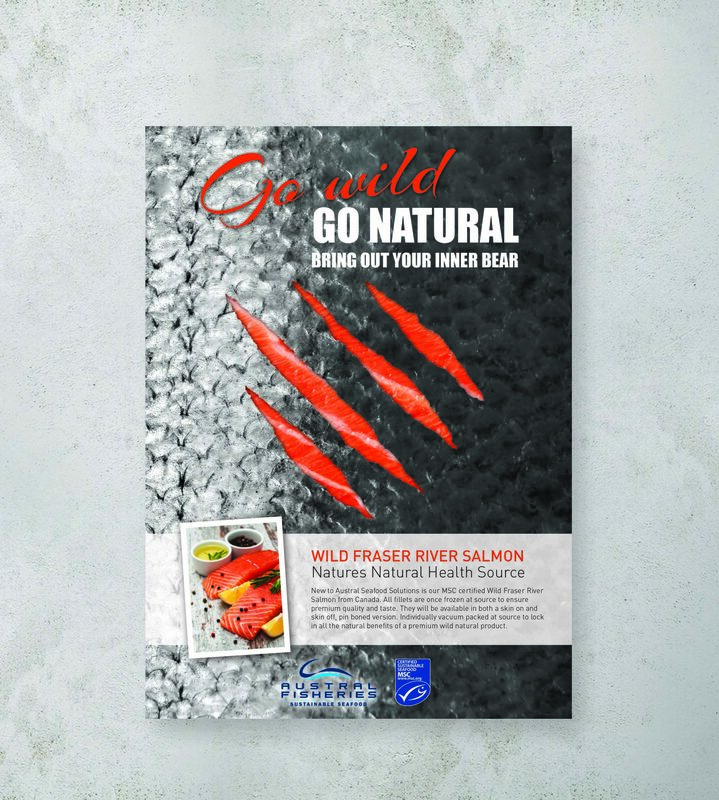 We played on the wild concept by incorporating a bear claw slash mark across the poster with the salmon flesh showing through. 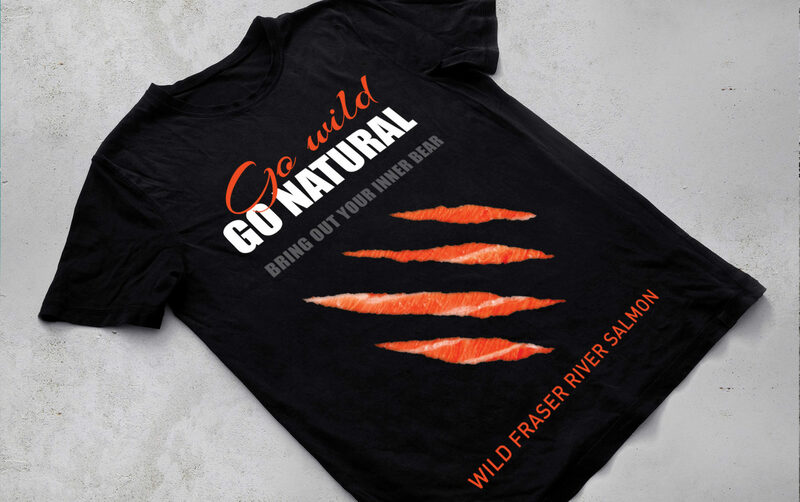 The visual effect is simple yet effective, a playful and original way to promote Wild Fraser River Salmon. The client was so satisfied with the outcome that they decided to extend the idea to a T-shirt. Indepth helped to design the T-shirt and organise the printing.